Harman-Kardon CL review | What Hi-Fi? Harman-Kardon wants a bit of the profitable headphone action, hence the launch of its first ever line of headphones. This, the Harman-Kardon CL (Classic), is the first model we’ve had a chance to hear. It's easy to see why HK wants to get in on the act. Headphones have never been more popular. Joe Bloggs can’t get enough of them, celebrities such as Justin Bieber are endorsing them, while sports stars are being papped in them, with Monster Beats by Dr Dre arguably the most common can. These are on-ear, closed-back headphones, dressed in sandblasted steel: the headband is machined from it, as is a large section of the frame for the earpads. They look and feel more industrial than, say, the similarly priced Bowers & Wilkins P3s (see below) but the steel frame gives them added robustness. The earpads are covered in leather and they have a magnetic fixing, which means should you damage one it can be replaced without any hassle. Beneath the pads you can see the custom-made, 4cm drivers. They use a unique baffle design that, Harman-Kardon claims, helps extend bass frequencies. They feel comfortable, with the pressure on your ears judged just nicely. Memory foam fitted around each earpad ensures a snugger fit over time. And, given the use of steel, the CLs feel surprisingly light on your head too. The pads swivel round clockwise and counter-clockwise, but unlike the B&W P3s they’re not hinged and as such are less compact. You can, however, fold the pads flat and slide the unit into the carry pouch provided. Height adjustment comes via the leather-clad pad under the headband, which flexes to accommodate your head. For those with a more sizeable head you can fix a larger band, which is included in the box. To attach, you slide out the leather cushion at either side of the steel band and swivel the earpads until they click and detatch from their housings. Grab the other headband and simply reverse the process. It’s not the neatest or classiest way of adjusting them, but you should be able to find the right fit in the end. The CL’s are iPhone-friendly, so the 1.4m cable features an in-line mic and remote control. The cable hooks up to the underside of the left earpad and the mic dangles a few centimetres below. It’s easy to operate and the closeness of the mic means you you’re not for ever bringing it up to your mouth, like a secret agent. Clarity is excellent: you’re easily audible at the other end. Out of the box, the CLs sound very impressive and there’s a lot to like about the sound quality on offer. There’s a nice sense of clarity and openness to the performance. Particular attention appears to have been paid to the midrange, where vocals sing loud and proud. Amy Winehouse’s vocal during Will You Still Love Me Tomorrow sounds clear and emotive, the saxophone play focused and straight to the point. Switch to something bassy, such as Jay-Z’s Already Home, and there’s decent weight and body given to those low frequency rumblings. However, the headphones don’t quite communicate dynamic shifts and subtleties like the best at this price. Faced with a barrage of different music genres and tracks, the CLs can sound a bit too samey, where the class leaders convey differences in delivery, tempo and style a touch more clearly. The pads create a good seal around your ears, so the CLs will suit home and office use alike. Noise isolation is decent enough to get you through the average commute, but if you want a serious noise-canceller then we’d suggest making the jump to a dedicated headphone, such as the Award-winning Bose QuietComfort 15s. 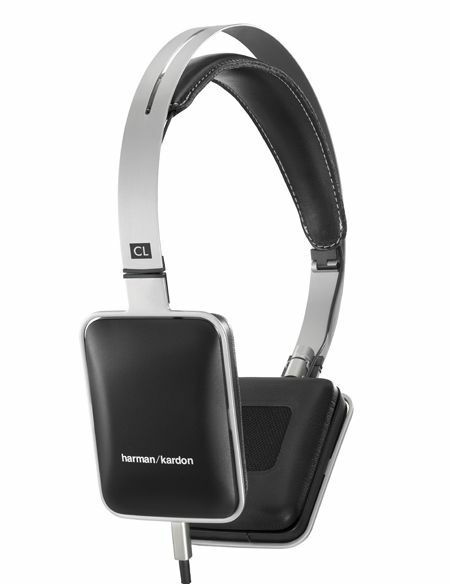 These are Harman-Kardon’s first headphones and the CLs should be applauded. They’re a likeable addition to the burgeoning headphone market, even if they offer less insight to the music than others at their price – such as the Award-winning Philips Fidelio M1s.